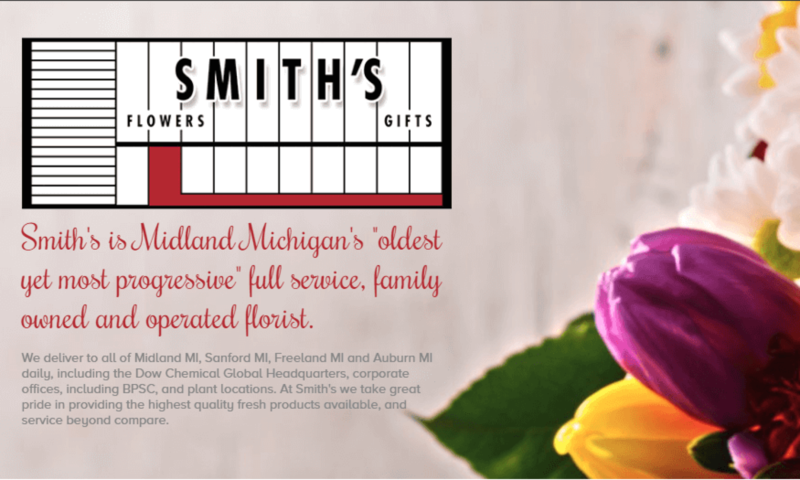 Smith's of Midland Blog - Midland Michigans "oldest, yet most progressive" florist. 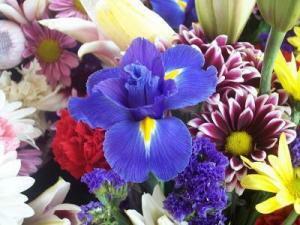 Midland Michigans "oldest, yet most progressive" florist. As noted in our last blog addition, there are some really upset, and rightfully so, consumers and Senators alike. Cathy wrote a great blog piece about it “Whither the ethics” on the Real Florist Blog, and there are many more examples floating about cyberspace from the last week or so. We as florists are glad to see the US Senate taking a hard line on this type of marketing, which is at best a scam, and at worst out right thievery. Yes, Smiths Flowers is still a member of FTD, and we do use 1-2 of their services to facilitate customer order transfers when customers do not wish to use Our List of Preffered Florists, but that’s where the association ends. So while we utilize FTD, we are not FTD and have never been a part of their web marketing schemes. … including sellers such as 1800Flowers.com, Fandango, FTD, Orbitz, Priceline, Shutterfly, Buy.com, Barnes & Noble, Expedia, as well as many, many more. All the ballyhoo comes from their web loyalty programs that generate dollars via clickthroughs and signing people up for supposed discounts at a later date, but actually many consumers don’t even know they are sigining up for an automatic charge to their credit cards month after month. After six months, this Committee has found that the companies we are investigating have figured out very clever ways to manipulate consumers’ buying habits so they can make a quick buck. American consumers have been complaining for years about these misleading practices and asking for answers – and rightly so. […] Millions of Americans are getting hit with these mystery charges every month – we have to do all we can to protect the hard working families relying on us to look out for their wallets and well-being. All we can say is that it’s about time. Again we thank you for your continued patronage, and look forward to serving you again this holiday season… Be Blessed! Join us November 19-21 for our annual Holiday open house! The holidays are upon us once again and it’s time for our annual open house to ring in the season. Stop in November 19-21 and save 10% on all holiday decor with the “early Bird” special. Sample our new line of candies and fudge, and there will be drawings for a $50.00 gas card, holiday centerpieces and beautiful Poinsettia plants. Once again we are offering FREE DELIVERY on Poinsettia orders placed during the open house when they are paid for in advance for delivery at a later date. Smiths has one of the best places along the route to watch the annual Midland Santa Parade too! It’s been some time, years in fact since Smiths Flowers in Midland MI has done a wedding show, but once again we are. On November 8th, from 1pm-4pm you’ll find us at the Elements of Elegance Bridal Show being held at “the H” hotel on Main Street in Midland. We’ll have several fresh bouquets and staff will be on hand to answer any questions you my have regarding wedding flowers, our services and anything else you need information on. We hope to see and meet you there. For the second year in a row you voted us the #1 Gold “Best Place To Buy Fresh Flowers” in Midland MI in the Midland Daily News Readers Choice poll. We are honored and humbled by the trust shown in our business and staff by your choice. We truly strive to provide the freshest possible flowers and plants available, and work hard on customer service, store presentation and our 100% Customer Satisfaction Guarantee. Thank you again Midland… we really do do it all for you, because without you, there would be no us. Smiths Flowers Circle Gallery would like to invite local artisans near and far to contact them if they would like a venue to show their wares for this Fall and Christmas Holiday shopping season. The Circle Gallery, housed within Smiths Flowers 7000+ square foot building designed by Alden Dow AIA and a work of art itself has room for many varied media from 2D to sculpture, furniture, pottery, woodwork, metalwork, jewelry and much more. The Circle Gallery, has a generous commission structure 70/30 for the artist and will work to sell your items. You can look in on our space here. ScienceDaily (Dec. 30, 2008) — Contact with nature has long been suspected to increase positive feelings, reduce stress, and provide distraction from the pain associated with recovery from surgery. Now, research has confirmed the beneficial effects of plants and flowers for patients recovering from abdominal surgery. A recent study by Seong-Hyun Park and Richard H. Mattson, researchers from the Department of Horticulture, Recreation and Forestry at Kansas State University, provides strong evidence that contact with plants is directly beneficial to a hospital patient’s health. Using various medical and psychological measurements, the study set out to evaluate if plants in hospital rooms have therapeutic influences. Studies show that when patients have great stress associated with surgery, they typically experience more severe pain and a slower recovery period. Some of these problems are treated through the use of anesthetics and analgesics, but, if not properly administered, the drugs can have side effects ranging from vomiting and headaches to drug dependency or even fatality. It is therefore beneficial to patients and care providers to develop approaches that improve the overall patient experience but don’t rely on pharmaceuticals. The study, published in the October 2008 issue of HortTechnology, was conducted on 90 patients recovering from an appendectomy. Patients were randomly assigned to hospital rooms with or without plants during their postoperative recovery periods. Data collected for the study included information on the length of hospitalization, administration of drugs for postoperative pain control, vital signs, ratings of pain intensity, distress, fatigue and anxiety, and the patient’s room satisfaction questionnaire. An interesting note to this study—the majority of patients who had plants in their rooms reported that the plants were the most positive qualities of their rooms (93%), whereas patients without plants in their rooms said that watching television was the most favorable aspect of their rooms (91%). The study suggests that potted plants offer the most benefit, as opposed to cut flowers, because of their longevity. Nursing staff reported that as patients recovered, they began to show interaction with the plants, including watering, pruning, and moving them for a better view or light. A number of studies have also shown that indoor plants make air healthier and provide an optimum indoor environment by increasing humidity, and reducing the quantity of mold spores and airborne germs. This nonpharmacological approach to recovery is good news for patients, doctors, and insurers alike in terms of cost effectiveness and medical benefits. The study provides strong evidence that contact with plants is directly beneficial to patients’ health, providing meaningful therapeutic contact for patients recovering from painful surgery. Adapted from materials provided by American Society for Horticultural Science, via EurekAlert!, a service of AAAS. The Circle’s Sidewalk Days were quite a success, so we’ve decided to carry on a bit longer. Nearly everything in the store will remain on sale for a limited time. Stop in to take advantage of some fantastic savings (15-75%). Even the artists’ items (jewelry, tables, photography, etc.) are 15% off! Go Green – Recycle your unwanted vases @ Smiths! Pack ’em up, and bring them by Smiths Flowers in Midland MI and depending on quantity and type, we’ll give you a nice fresh bouquet to enjoy yourself or to share with someone special to make their day. Green Plant Sale @ Smiths! Summer Green Plant Sale going on now! 30% OFF all in stock and special order plants! Time to spruce up a room? How about something for the deck or patio? All varieties we normally carry in 6-8-10 inch pots are up for grabs, as well as anything we can get that you would like to special order. We bring plants in from the greenhouses on Tuesday and Thursday afternoons so we’ll always have a good selection available for you to choose from. This sale is cash and carry only, not available for deliveries. Stop in soon as this is a limited time offer!